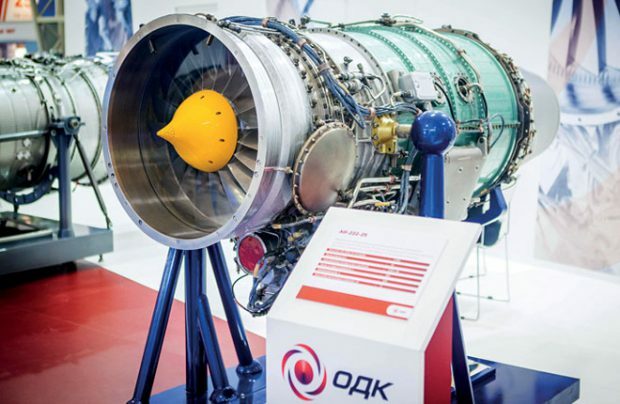 Мoscow-based MMPP Salyut, a subsidiary of the United Engine Corporation (UEC), has extended the time between overhauls (TBO) and total life for the AI-222-25 gas-turbine engine from 600 to 1,500 hours and from 1,200 to 3,000 hours, respectively. These engines power Yakovlev Yak-130 combat training jets. Only Russian-sourced parts have been used in AI-222-25 production since 2015, whereas previously more than a half of the powerplant’s components would be imported from Ukraine. The first fully Russian-produced engine was involved in the tests that eventuated in the powerplant’s service life extension decision. Salyut has also developed 11 modular repair methods for the AI-222-25, which could further increase the engine’s reliability. With the modular approach, minor performance restoration procedures and component replacements are carried out without taking the powerplant out of operation. The UEC is prepared to both offer maintenance services on Yak-130 engines and train customer personnel in the modular repair techniques. AI-222-25 engines are produced at Salyut’s primary facility in Moscow and by its subsidiary Omsk Baranov Engine-Building Enterprise.